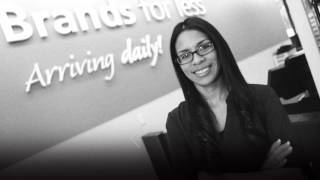 Military - Ross Stores, Inc.
We're a place where veterans thrive. Culture: Veterans are comfortable with a culture that focuses on leadership, execution and problem solving, as well as our commitment to providing actionable feedback. Structure: We offer a similar experience to the rank structure of the military, with an emphasis on control, policy and protocol. Training: Like the military, we offer many training opportunities through our targeted learning programs and on-the-job training. Geographic flexibility: We offer the flexibility to control your career by relocating across our many locations for new opportunities. Growth: Our organization is expanding rapidly, which creates many opportunities for individuals who have the desire to grow their career with us. In addition to attending Military Spouse Employment Partnership Program career fairs, Transition Summits, Recruit Military career fairs and local military-based sponsored events, we partner with a number of organizations in our efforts to hire and assist veterans and their spouses. Ross is not only proud of our associates who have served as veterans, but also proud of our associates who have supported and continue to support their military husbands and wives. Ross Stores participates nationwide in job fairs sponsored by Hiring Our Heroes, an initiative of the U.S. Chamber of Commerce Foundation, launched in March 2011 to help veterans, transitioning service members and military spouses find meaningful employment. We are building partnerships with some of the nearly 2,600 AJCs throughout the nation. Each AJC has Local Veteran Employment Representatives, staff and services available to help hire, train and retain Veterans. Ross Stores has demonstrated our support for associates who serve in the National Guard and Reserve by signing the ESGR Statement of Support. That sends a clear message that we stand committed to our military associates and recognize the integrity, global perspective and proven leadership they bring to the workplace. Hear from our valued veterans. I began my career with Ross as a Merchandise Manager. I believe my military experience allowed me to be hired at this level. For both the military and Ross, core competencies require insight into how to build a strong team, create an appropriate culture and make good judgment calls. During many years with Ross, my career has continued to improve and I’ve worked my way up to Director. There are a lot of former veterans who work here. Ross looks at our years of service as a positive and does a good job utilizing our skill set. The leadership and teamwork that I learned in the military carry over daily. If you are a strong leader, you will do well here. This is a fast-paced environment, but hard work pays off here. It is a growing Company and there is room to advance. I have been able to use quite a bit of my military experience at Ross, whether it was my strong work ethic, setting an example for other associates or helping to make them better in their job. I have grown immensely. I started as a Supervisor and within four months was promoted to Manager. I definitely see a career path here. There are opportunities for advancement and growth. The sky is the limit. The experiences and leadership of our veterans are incredibly valuable, and Ross offers many similarities that they can leverage immediately, as well as a foundation to develop new skills that can quickly lead to a career. From stores to operations, finance and human resources, we offer a unique mixture of accessibility, support and potential for these leaders.